The Aberdeen goalkeeper's agent has said that his client is looking for more games. 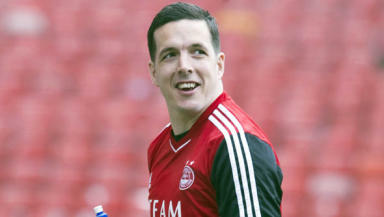 Jamie Langfield's agent has suggested that the goalkeeper could leave Aberdeen at the end of his contract if he doesn't get first team football. Langfield has been a regular at Pittodrie since signing from Dunfermline in 2005, making over 200 appearances for the Dons. However, he suffered a seizure in May last year was forced onto the sidelines for a spell of recovery. Since returning to fitness he has been kept out of the team by the form of Welsh international Jason Brown. With the 32-year-old's contract set to expire in the summer the player's agent, Blair Morgan, has said that his client is looking for more matches. Morgan told the Daily Record: "Jamie is 100 per cent fit and while his preference is to stay with Aberdeen he also wants to be playing football."